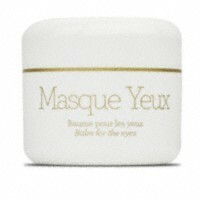 This mask, applied every evening, will bring a new youthful sparkle to your eyes in just a few minutes. Being rich in draining ingredients, it eliminates puffiness around the eyes and reduces rings and bags by its relaxing, tonic action. It encourages lymphatic drainage, which is essential to reduce swelling of the eye area. The Eye Mask is also soothing and nutritive. Please note that Eye Mask will not diminish dark shadows that are a result of genetic causes. First thing in the morning apply a moderate layer to the eye area. Leave for 5 minutes and remove with wet cotton pads. Please note that a tingling sensation is absolutely normal. Follow with your usual daily routine.